Parking: Free parking in the surrounding neighborhood; you can also park on Gates St. and take the secret set of stairs up. 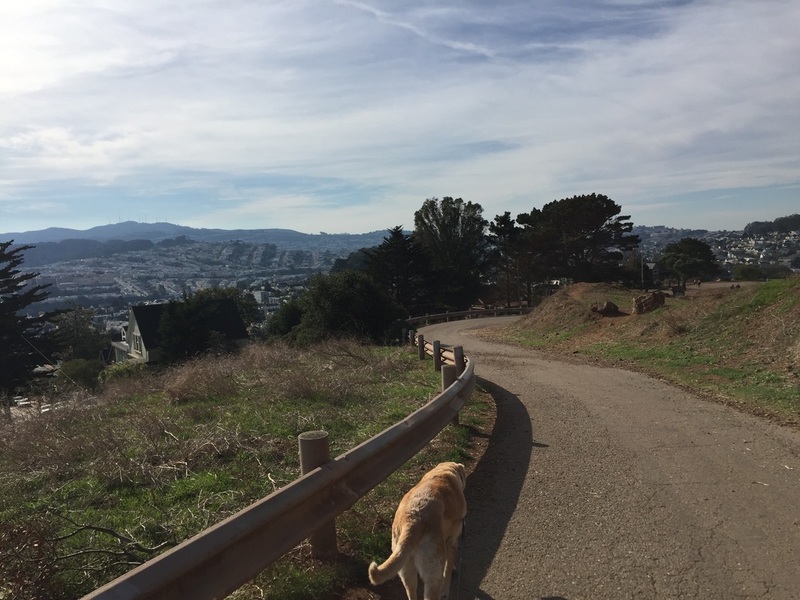 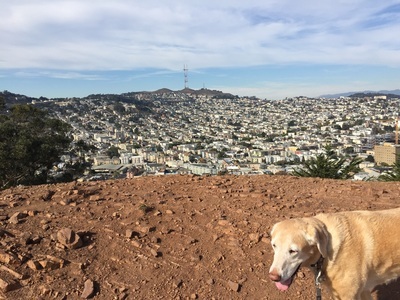 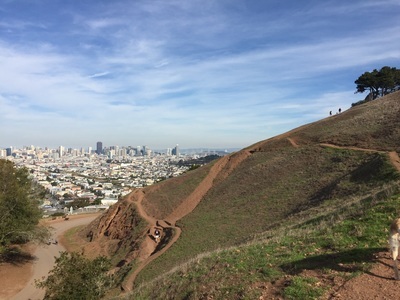 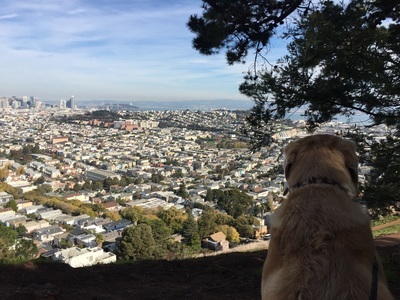 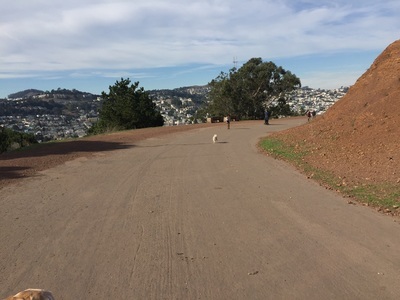 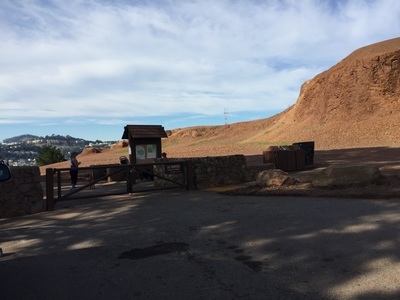 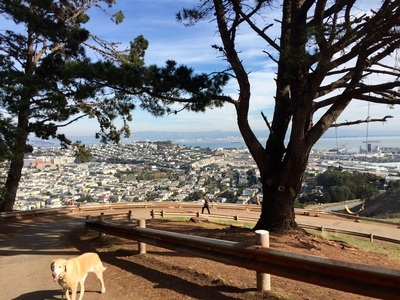 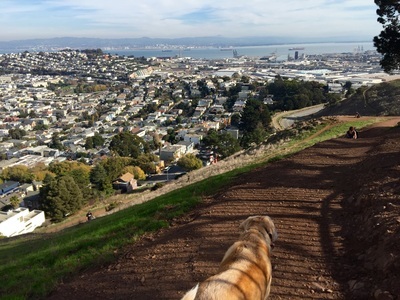 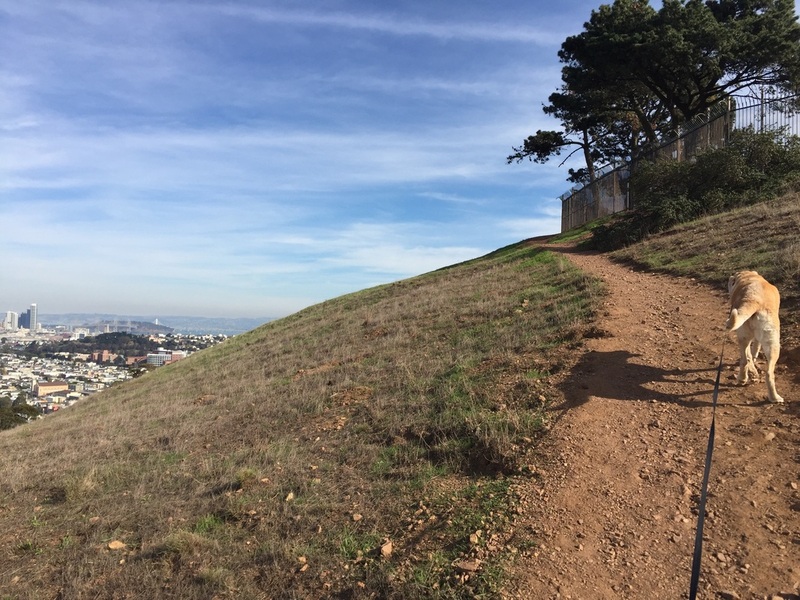 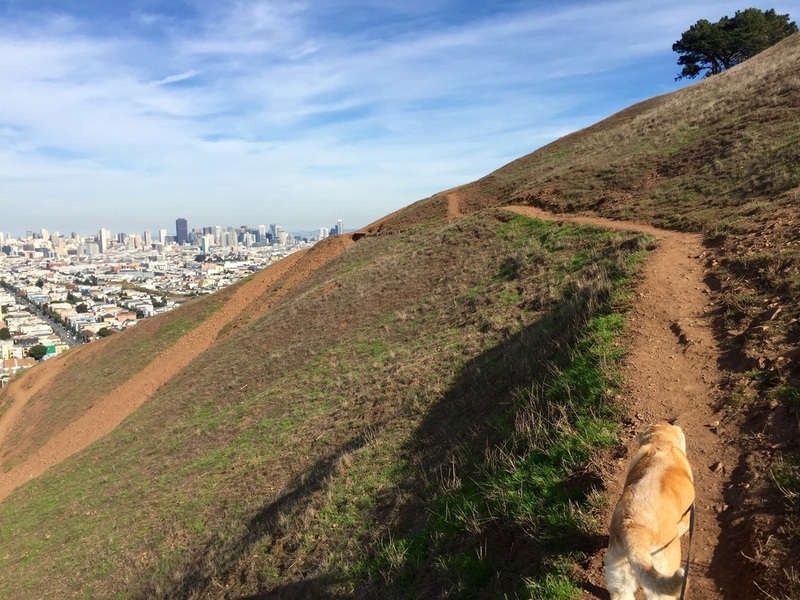 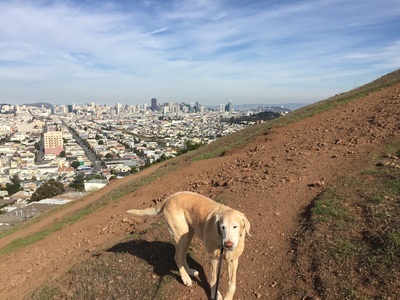 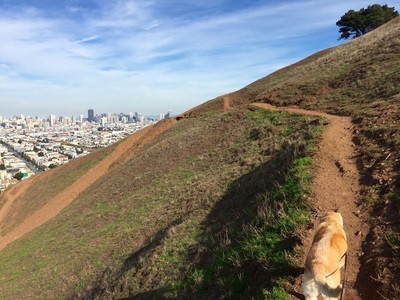 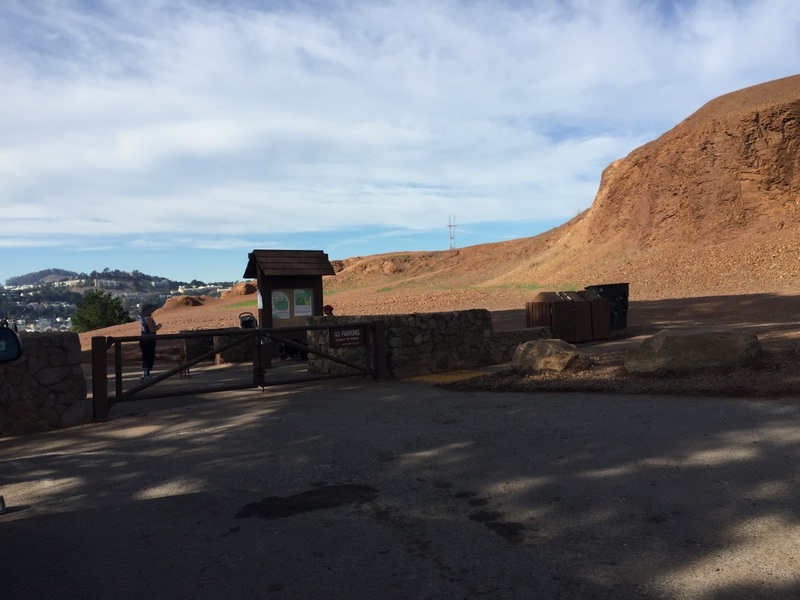 Description: This 26-acre park used to be a rock quarry, but now your dog can hike it off-leash and you can enjoy spectacular views of the city. 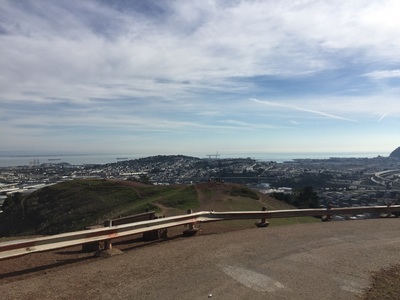 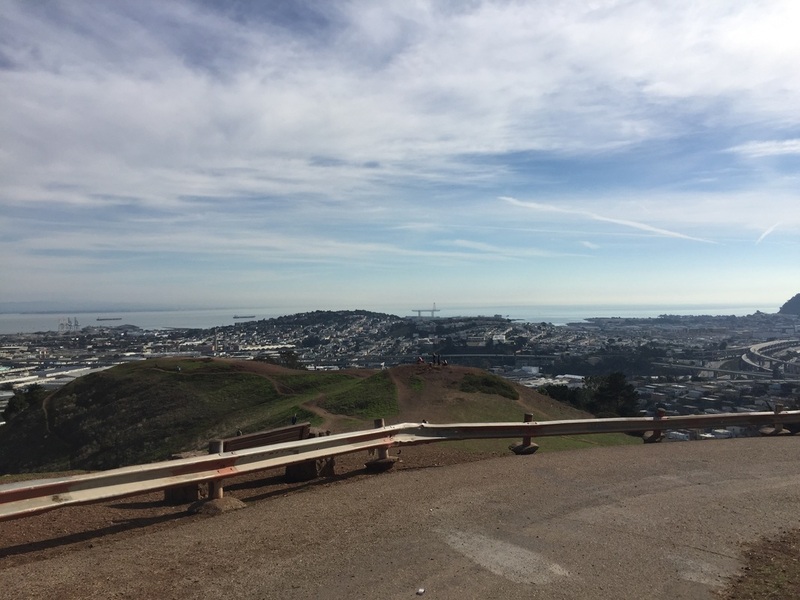 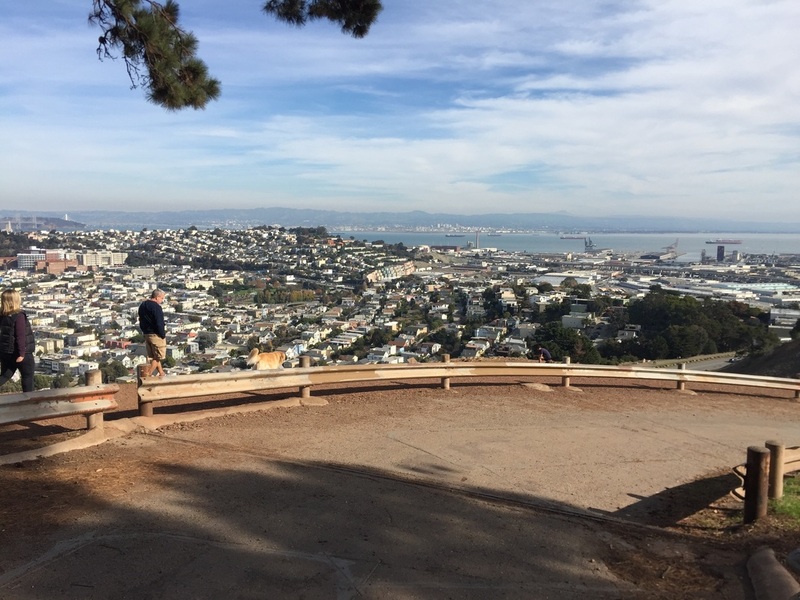 On a clear day, you will have views of the bay, the Golden Gate Bridge, downtown, the San Bruno Mountain, and the East Bay hills. 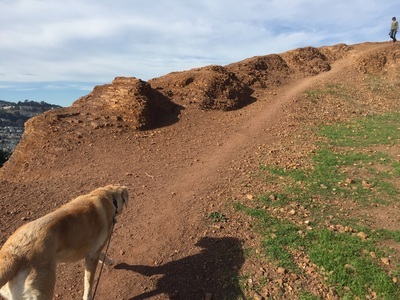 Trails are notched into the side of the hill and wind upward towards the radio tower and over towards the 101 freeway. You will even have the opportunity to swing from a tree swing overlooking the entire city! 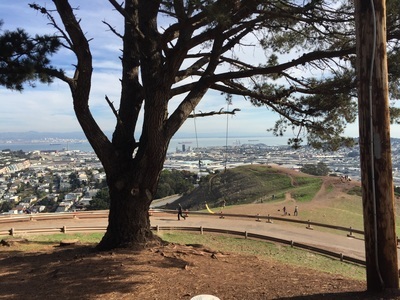 This swing is located towards the Carver St. side. 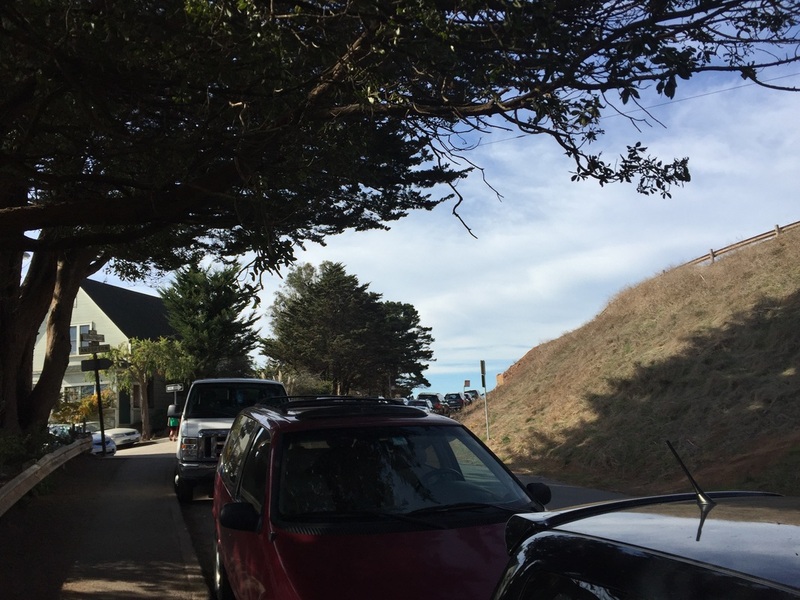 Parking is tricky on this narrow street and often fills fast. 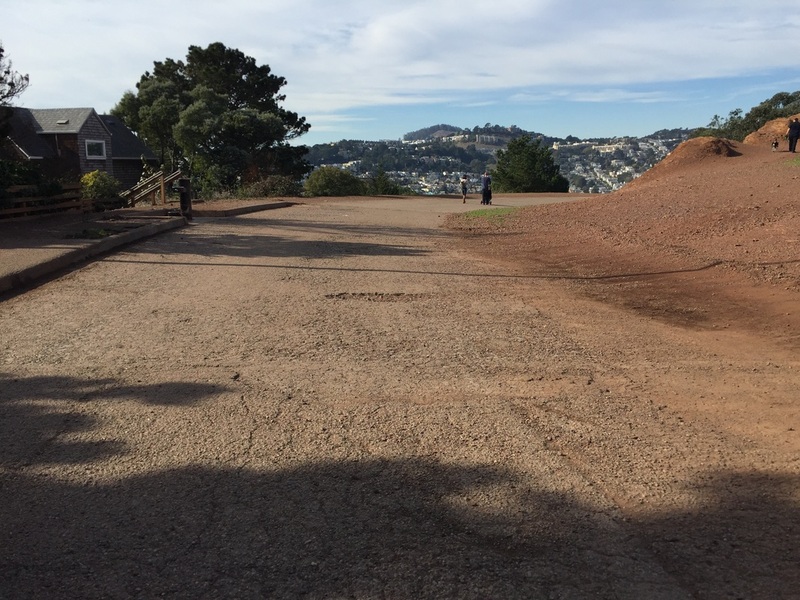 On a crowded day, you might have more luck parking down below on Gates St. and taking the secret set of stairs up to Bernal Heights Blvd. This park has a water fountain but no restrooms.